It’s April Fools’ day but these links are no joke. Hey, photography is a serious hobby, right? Photography Director Rob Haggart stirs a little controversy when he says, “I’m not gonna lie. If you sent me an email and said check out my portfolio and the link went to Flickr I wouldn’t even look.” Interesting discussion about this at Flickr.com. Street photographer Michael Murphy says web pages are a lousy display medium for photographs. 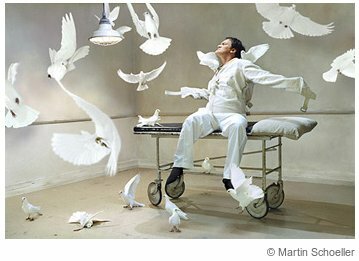 Martin Schoeller once waited tables. Now he’s a world-renowned portrait photographer based in New York City. Read his rags to riches interview at PopPhoto.com.